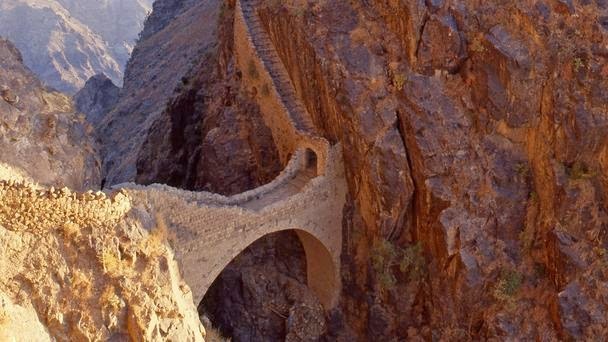 In their most basic form, bridges help people get from point A to point B. 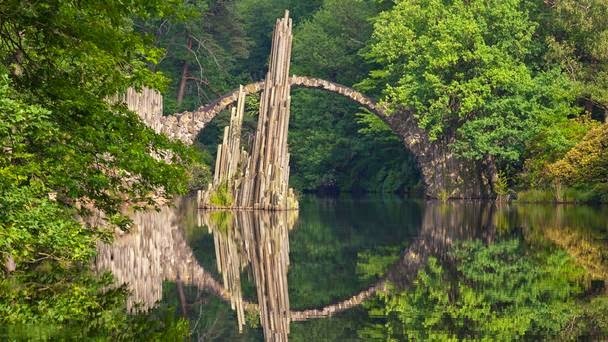 Yet sometimes – like in the case of the Rakotz bridge in Kromlau, Germany (pictured) – the structure can transform the very landscape around it and become a work of art. 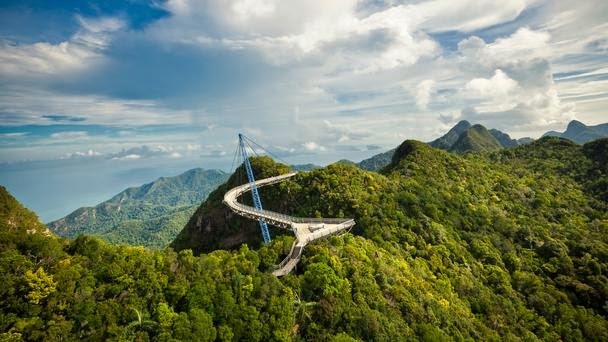 We went looking for some of the world’s most beautiful bridgesand found plenty of nominations from users on the question-and-answer site Quora.com. 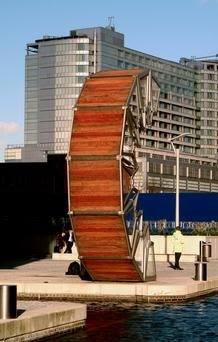 Here are a few of their selections, remarkable for their physical beauty, architectural ingenuity and harmony with their surroundings. 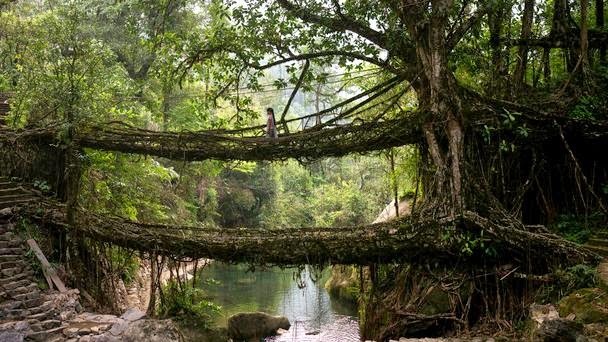 Instead of bricks, mortar or even standard planks of wood, the village of Cherrapunji in the state of Meghalaya – known as one of the wettest places in the world – builds bridges out of tree roots. The local War-Khasis tribe learned long ago how to tame the roots of the native ficus to grow in a certain direction, using bamboo as support. Some of the bridges are more than 30m long and can support the weight of 50 people, said Ravi Kodakandla, a Quora user from Hyderabad, India. While most bridges cross above water, the sunken bridge at Fort de Roovere near the village of Halsteren sinks just below it. 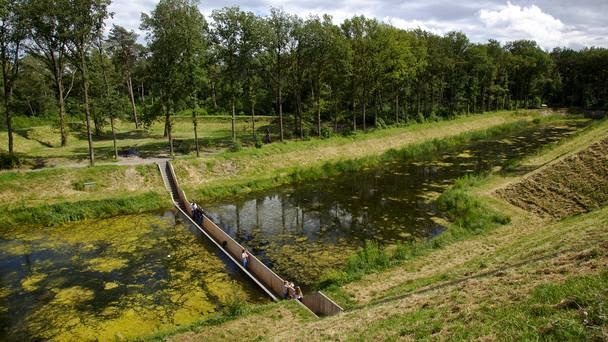 Architecture student Wu Zhuoyi nominated the bridge because it takes visitors through a moat. The walls function like a dam to keep the water out and the structure blends seamlessly with its surroundings, remaining invisible from a distance.